For our family vacation last summer, my wife and I loaded up the kids and took off on a 14-day road trip through the Pacific Northwest. We spent the first day driving from Illinois to Montana. 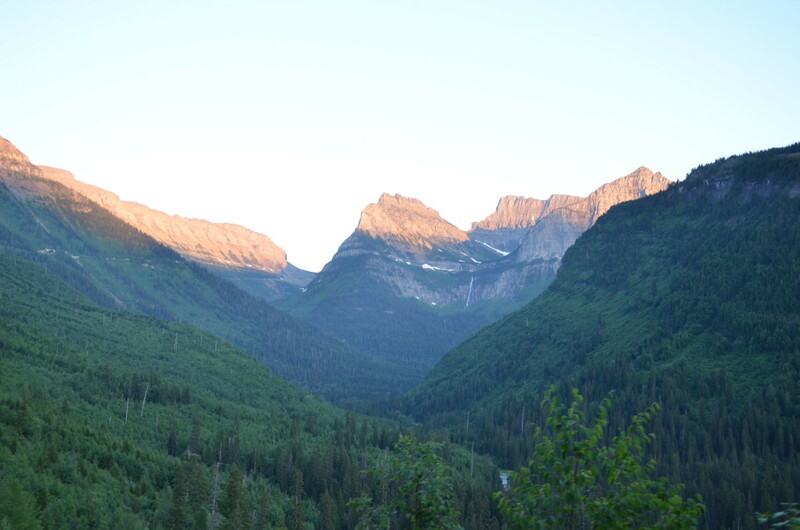 On the morning of the second day, we headed to Glacier National Park located in northwestern Montana. 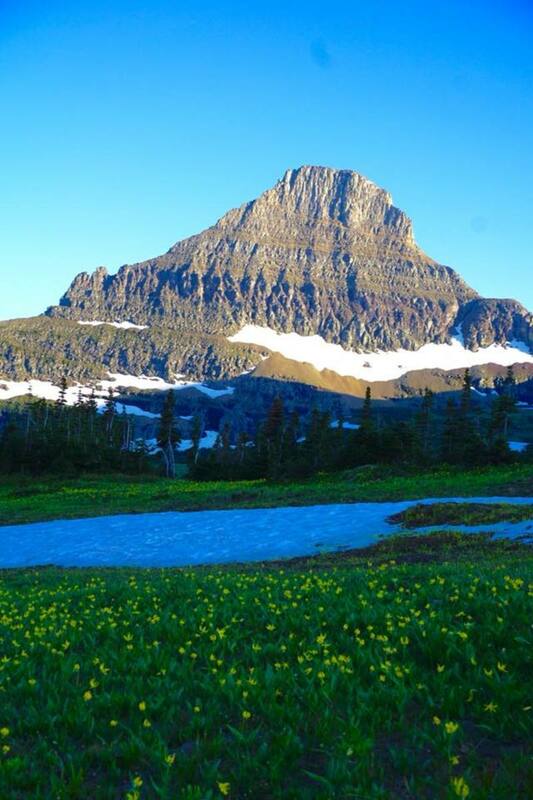 We picked a great time to go because Going-to-the-Sun Road had just opened for the summer a few weeks before our trip, and all of the wildflowers were in full bloom. 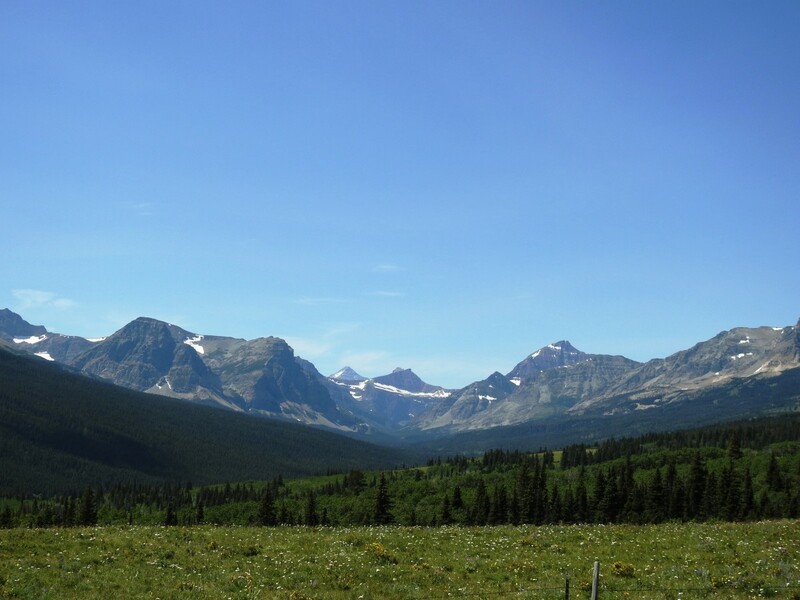 Glacier National Park is absolutely amazing and one of the most beautiful places that I have ever been to. We really enjoyed our brief visit to the park and cannot wait to go back. 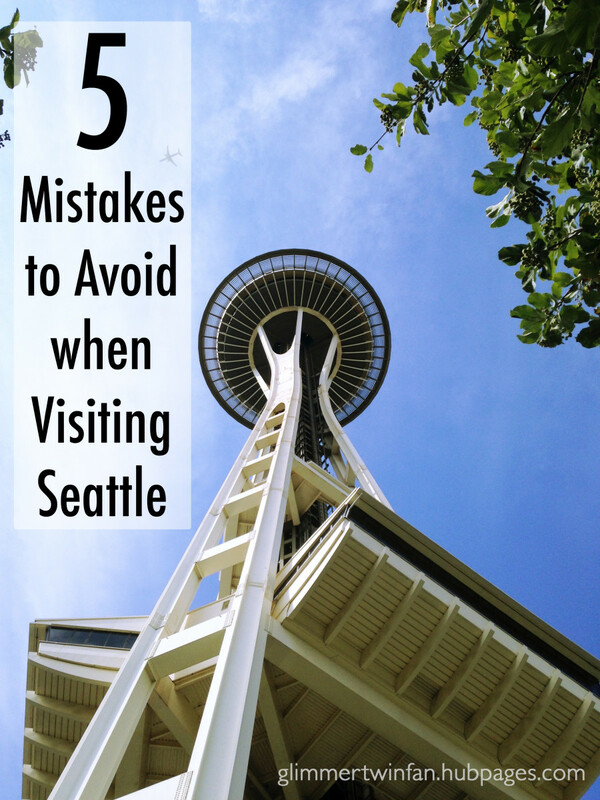 Here is a list of the top 10 things to do there. 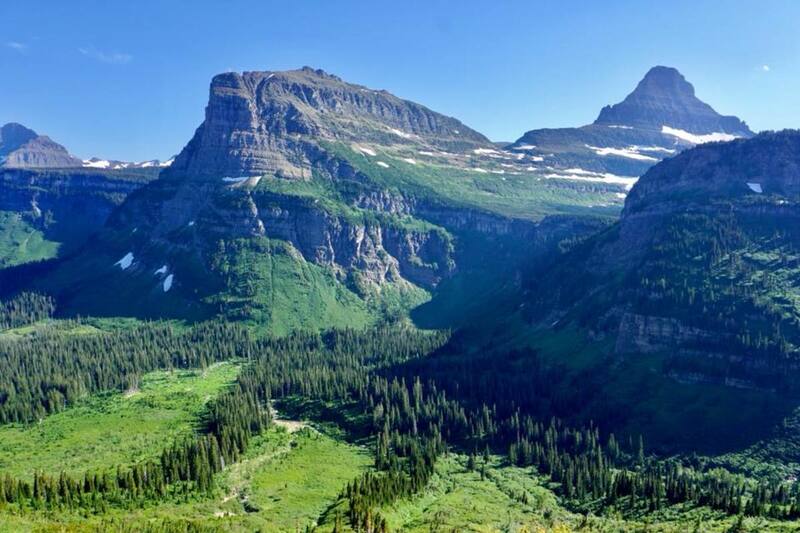 Going-to-the-Sun Road is an amazing and breathtaking 50-mile drive across Glacier National Park. The views are indescribably beautiful. Words cannot fully express how awesome this place is, and pictures do not do it justice. 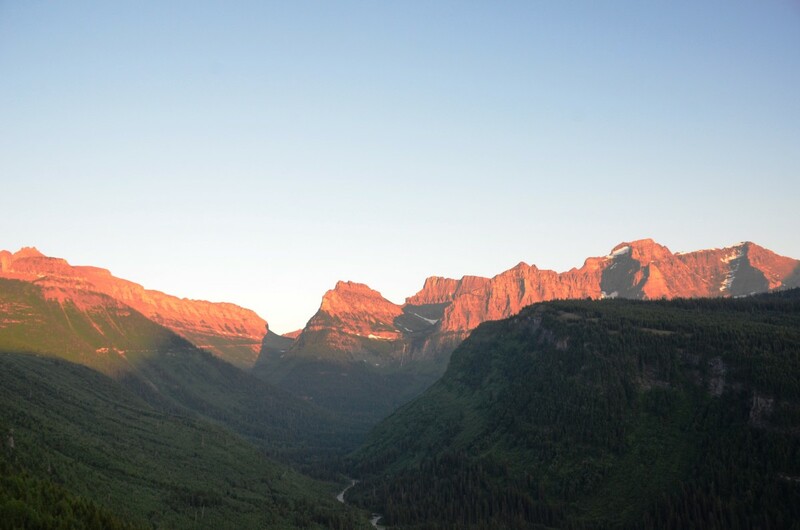 Going-to-the-Sun Road is a two-lane highway that passes large glacial lakes, cedar forests, mountain views, and climbs to a 6,646-foot-high at Logan Pass. 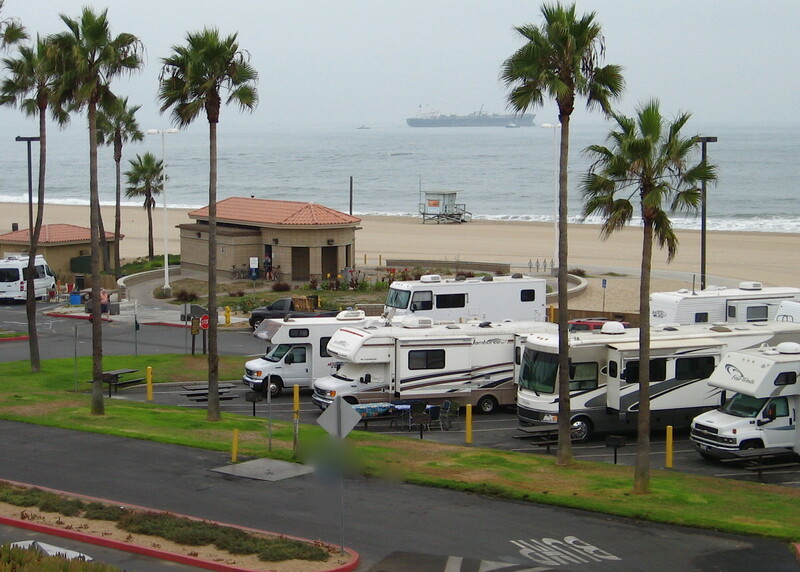 Most of the best things to see and do in the park are located near the road. There are many places pull out and admire the beauty of God’s creation. 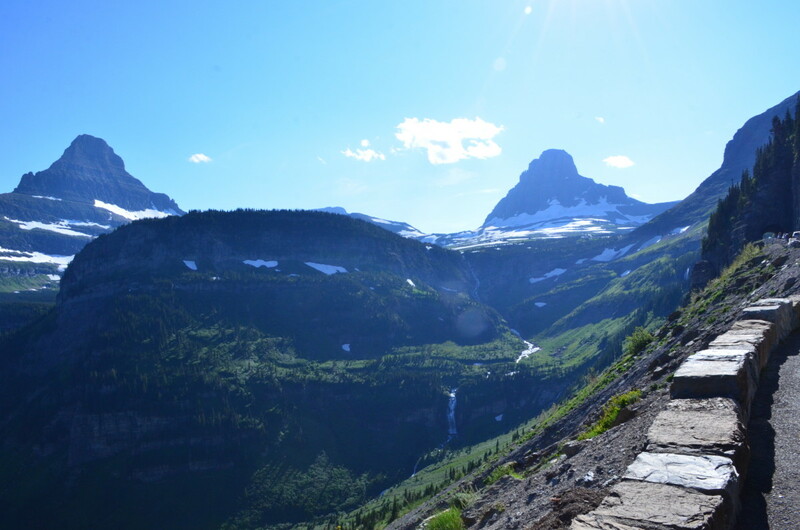 Driving Going-to-the-Sun Road is a must if you plan to visit Glacier National Park. 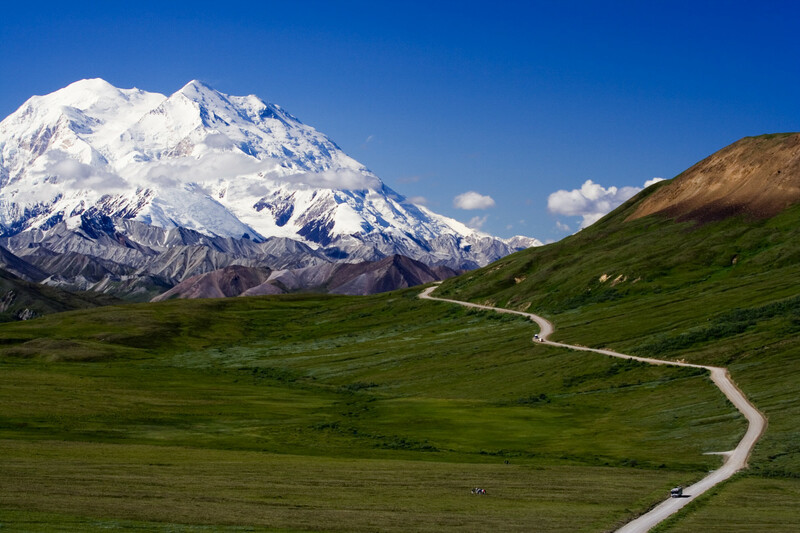 Note: Be sure to check on the road’s status, as it is only fully open from late June/early July through the middle of October, though parts of the road are open year-round. 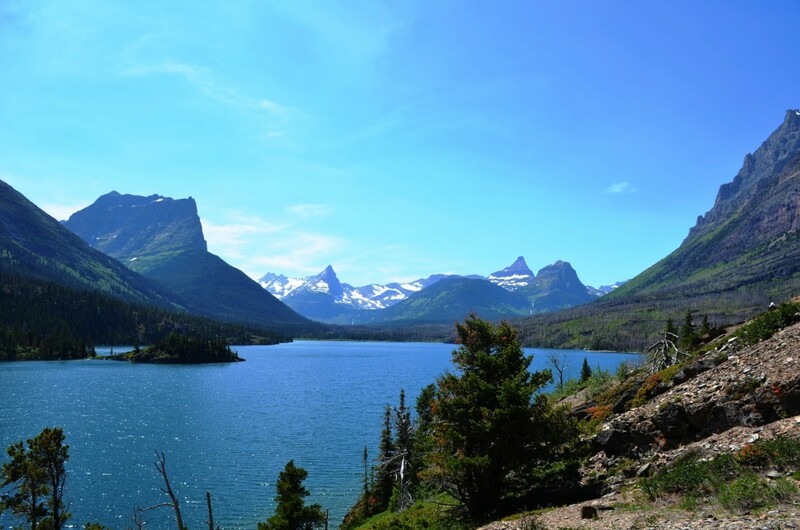 Saint Mary Lake is a beautiful 10-mile-long glacial lake located near the eastern entrance of Glacier National Park along Going-to-the-Sun Road. 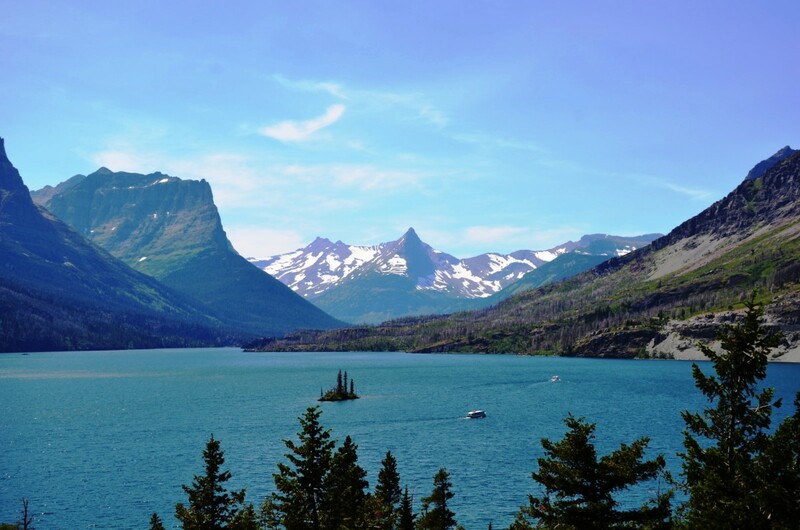 The lake is surrounded by mountains on three sides that tower 4,000 feet above it. The water is very clear and cold even in the summer months. 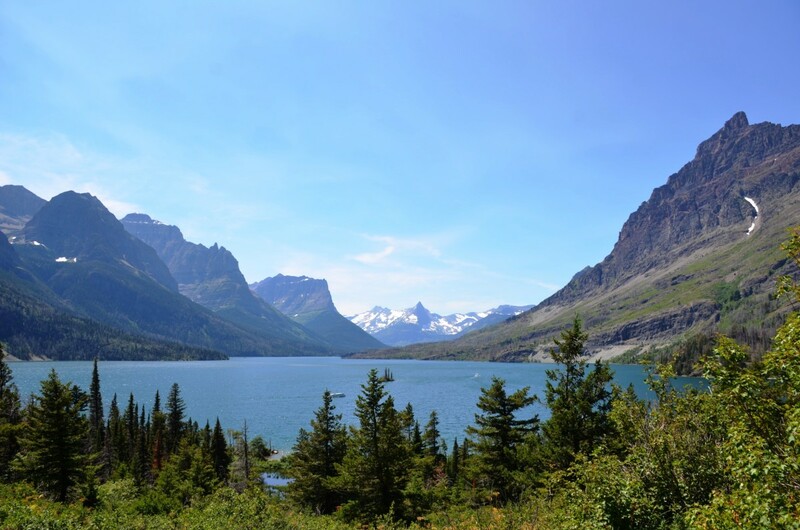 It is also home to Wild Goose Island, which is included in many of the iconic pictures of Glacier National Park that have been published in books and magazines. 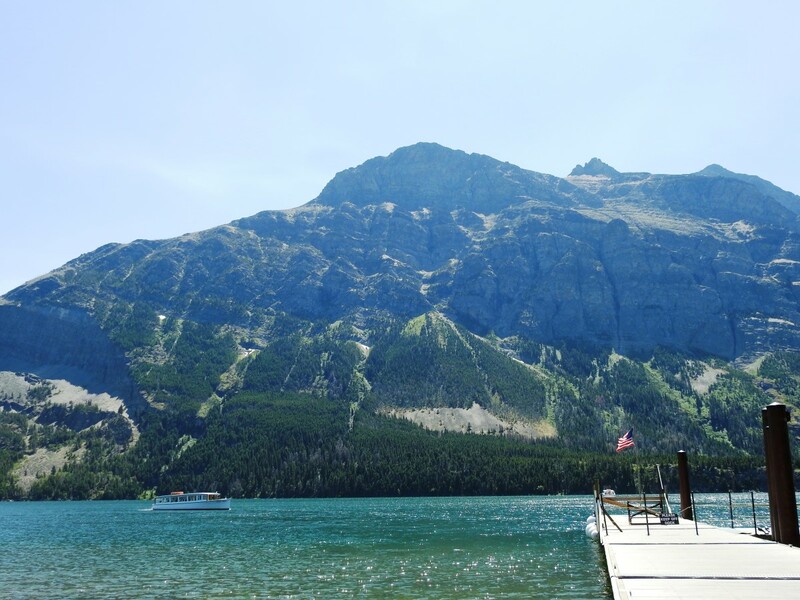 The Glacier National Park Boat Company offers boat tours on Saint Mary Lake between the middle of June and early September. 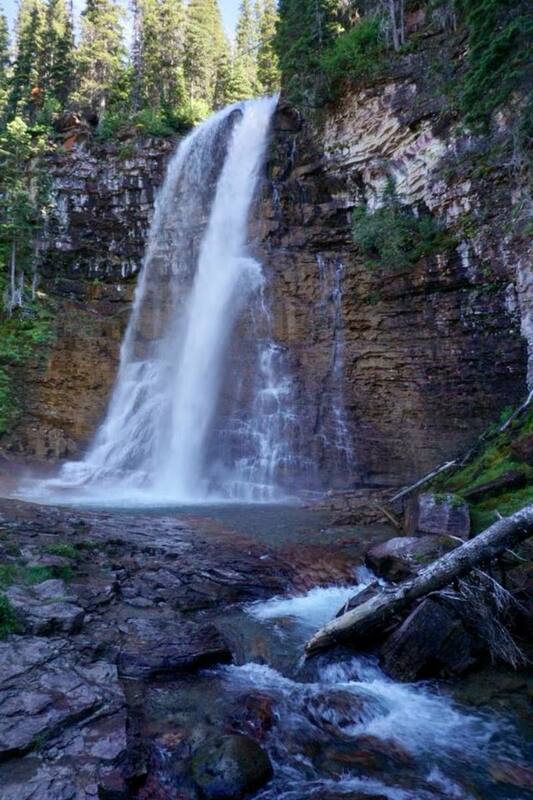 Some of the cruises offer an optional, easy hike to Baring Falls. Also, keep an eye out for bears and elk in this area. We enjoyed taking a short hike on the Sun Point Nature Trail until it ended on a rock formation that sticks out into Saint Mary Lake. We were able to take a lot of amazing pictures of the lake and surrounding mountains as well as a few family shots. 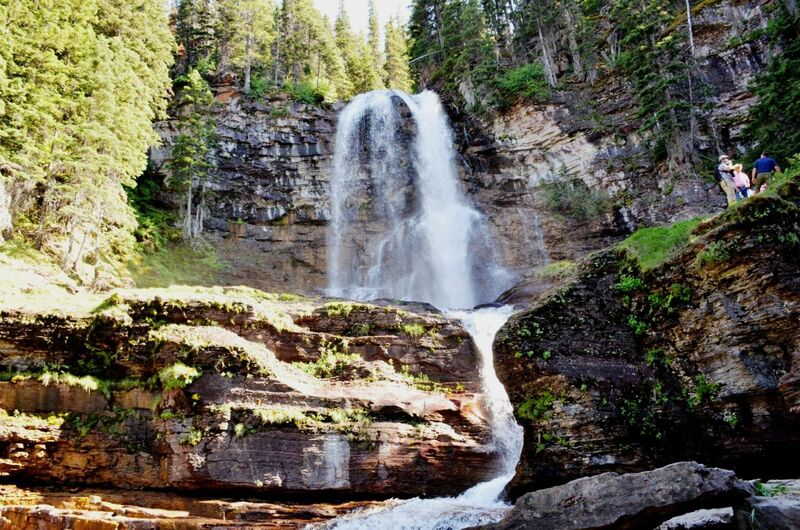 St. Mary Falls is a three-tiered waterfall that drops approximately 35 feet. It may not sound impressive, but it is one of the best waterfalls in the park. 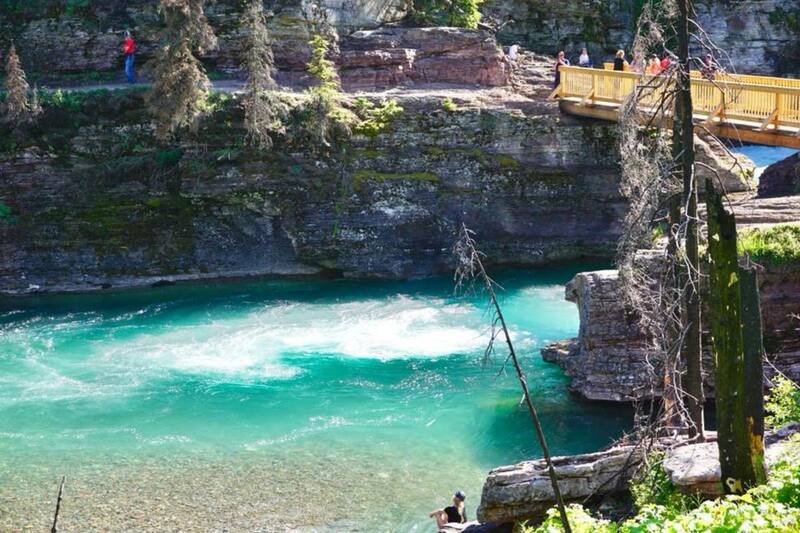 The aqua-green color of the water in the pools below the falls is absolutely amazing. The hike to the falls is about 0.9 miles through a dense forest. Going down to the falls is easy as much of it is downhill. The return trip is a little more challenging as you climb back up to the parking area. 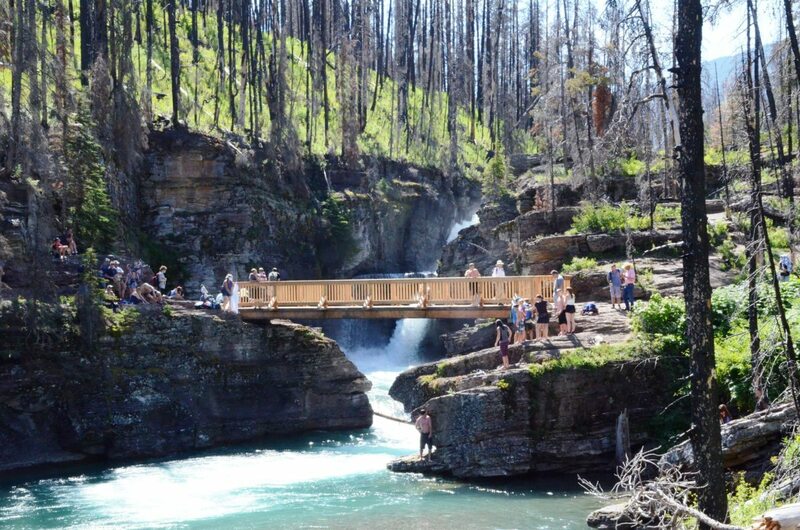 There is a log bridge right at the falls that is a good place to take pictures and enjoy the view. 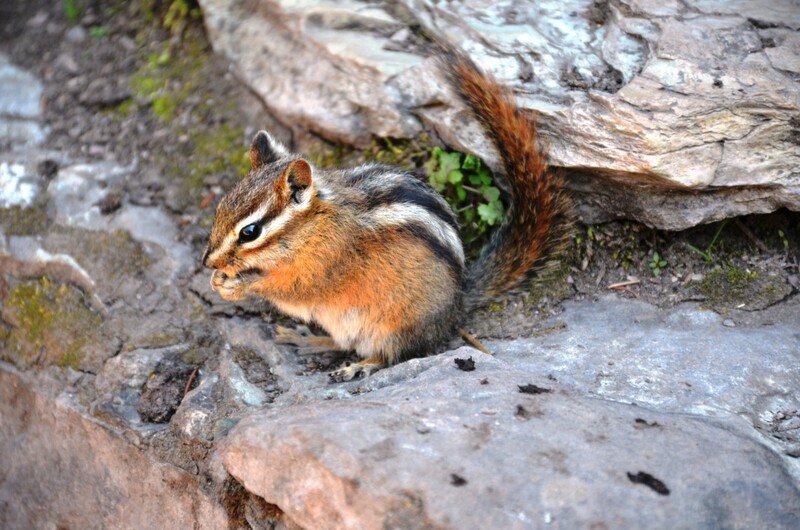 Note: Plan at being at the trailhead early as this is a very popular hike and parking is limited. We did not arrive until early afternoon and were very lucky to snag a parking spot as someone was pulling out. I highly recommend this hike. 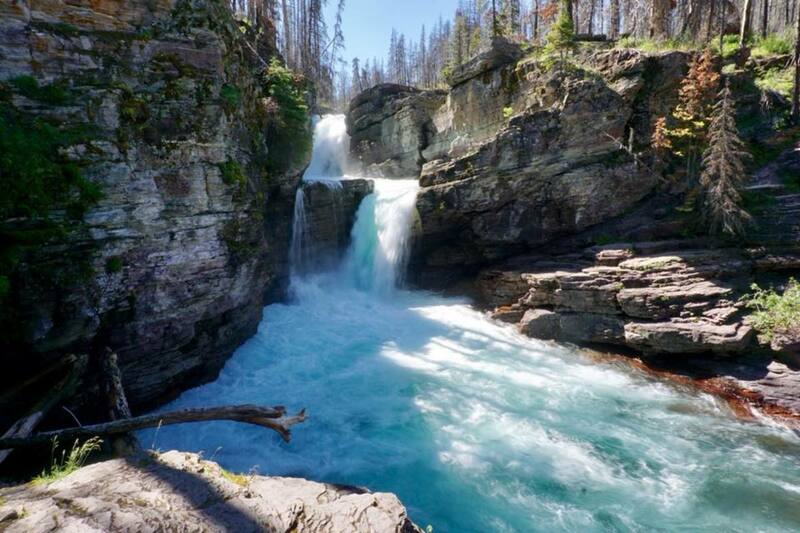 Virginia Falls is one of the most impressive waterfalls in the Glacier National Park. 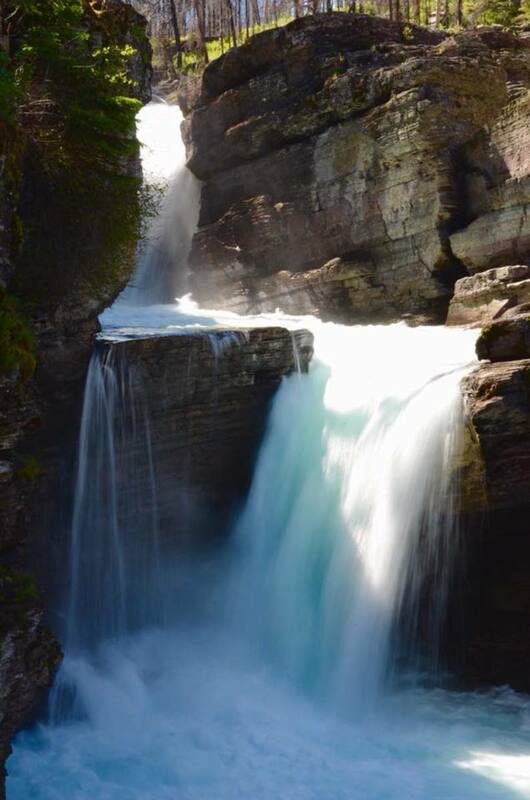 It plunges 50 feet off a large rock cliff, which makes you feel very small when standing at the base of the falls. It is also a good place to cool off on a hot day as there is a lot of spray coming off the falls. Virginia Falls is located about 1 mile past St. Mary Falls on the same trail. The round trip hike is about 3.6 miles. I highly recommend this hike as well. Note: Be careful of the slippery rocks at the base of the falls. 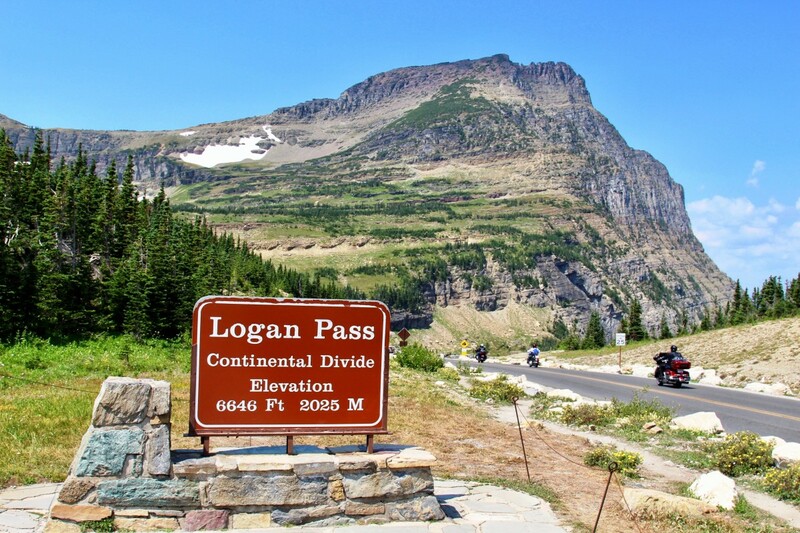 Logan Pass is one of the most popular spots in the park, and it is the high point on Going-to-the-Sun Road at over 6,600 feet. It is also home to one of the park's three main visitor centers. Hidden Lake, Gunsight Pass, Piegan Pass, Mt. 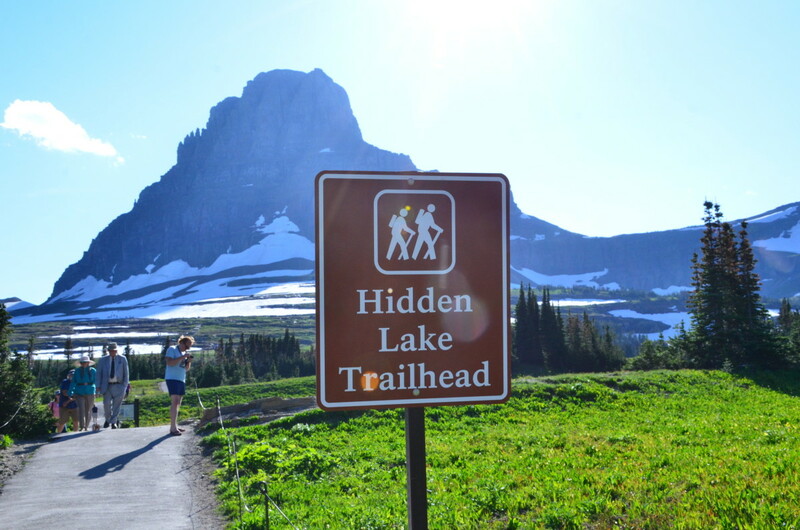 Oberlin, and the Highline Trail all have their trailheads near Logan Pass. 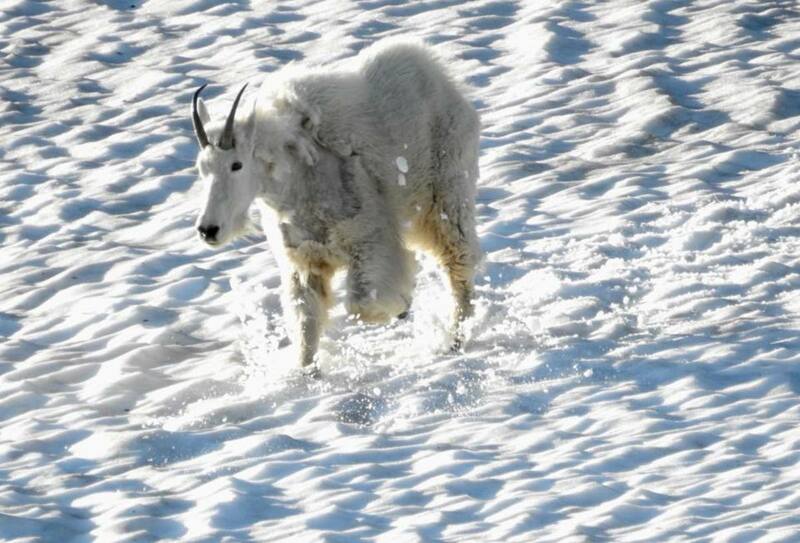 There is also a lot of wildlife that lives in this area, including mountain goats, bighorn sheep, and grizzly bears. 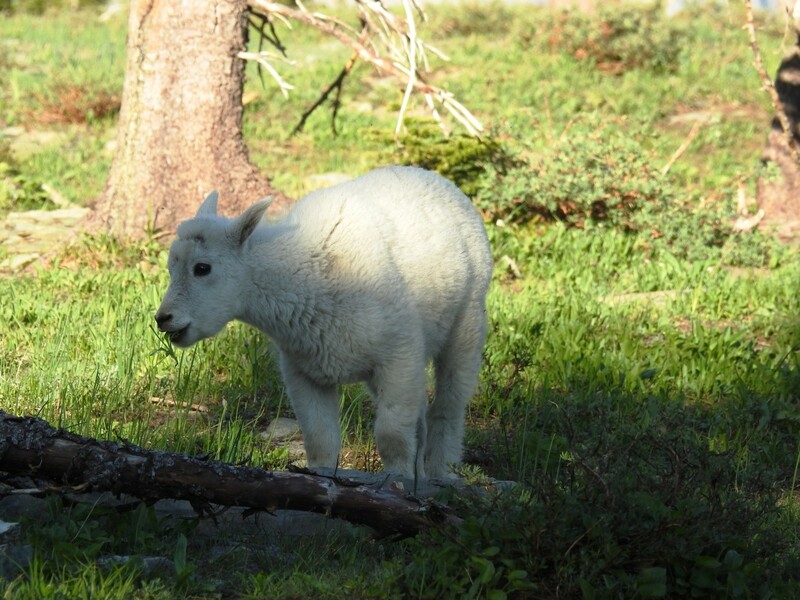 On our way into the visitor center, we noticed a couple Bighorn Sheep crossing one of the trails. It is also a great place to see wildflowers in the summer months. Note: The parking lot is full most of the day so if you are planning to visit the area, plan on arriving very early or after 4:00 pm. One of the other advantages of coming early or late is that there is a higher chance of seeing wildlife as they are more active early during those times. Hidden Lake is one of the most awe-inspiring hikes that I have ever taken. 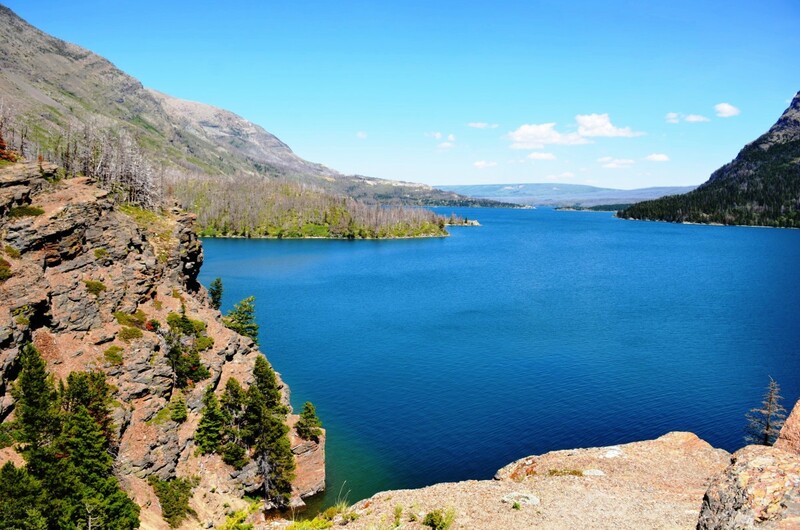 It is a small mountain lake that was created by runoff from melting snow and is surrounded by mountain peaks. The trailhead is located behind the Logan Pass Visitor Center. 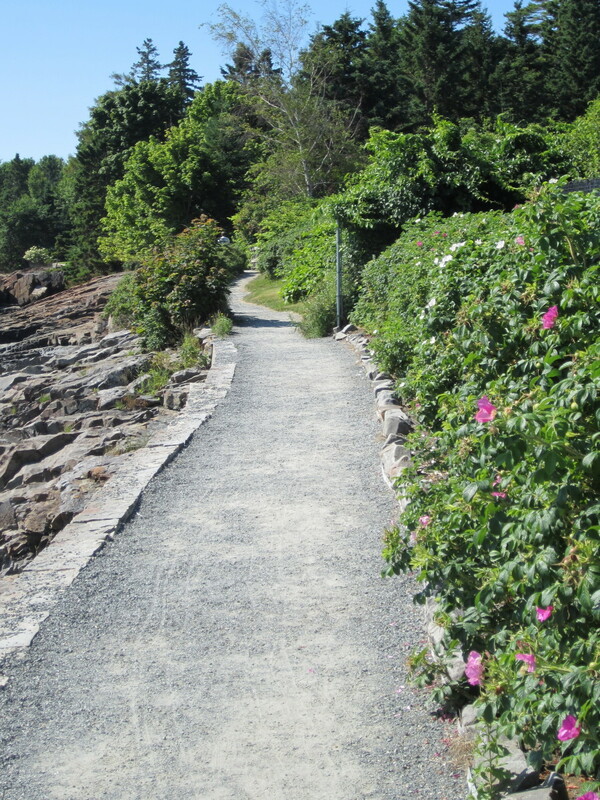 It starts out paved and then transitions to a raised, wooden boardwalk. The trail is steep for the first mile and then levels off once you get near the top. As you climb through the alpine meadows, known as the Hanging Gardens, you will notice an abundance of wildflowers. When we were there in the middle of July, there were still a few large snowfields that we had to cross. It was entertaining to watch everyone wipe out. For the most part, it was just slushy snow and if you fell it was no big deal. There were one or two spots that were a little tricky to navigate, but nothing that I would consider dangerous. Note: I strongly recommend having good hiking boots as well as hiking poles to navigate the snowfields. 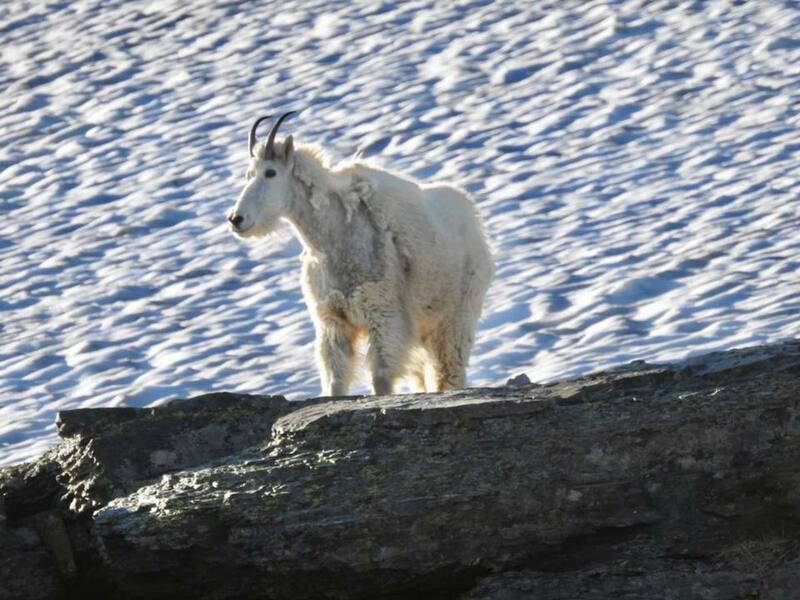 As we were approaching the Hidden Lake overlook, we noticed several mountain goats wandering around near the overlook. We took the time to take pictures of them as well as the amazing view of Hidden Lake below with the surrounding mountains in the background. 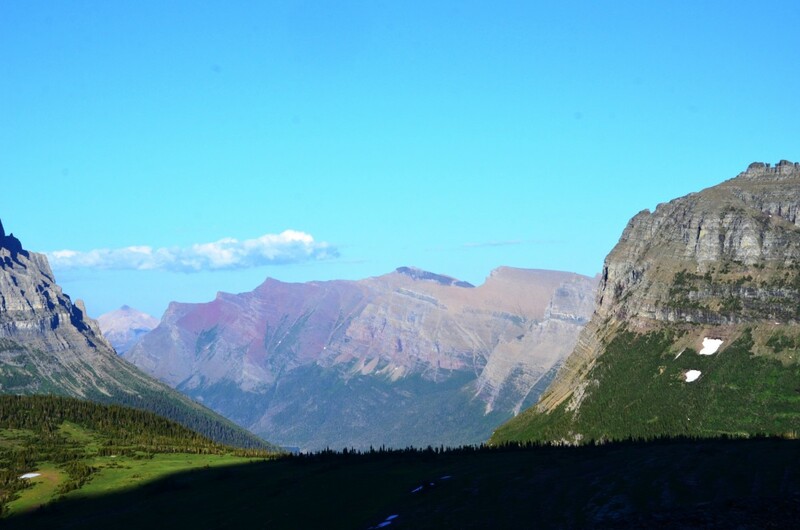 Unfortunately, we were not able to hike any further as the trail was closed due to grizzly bear activity in the area. 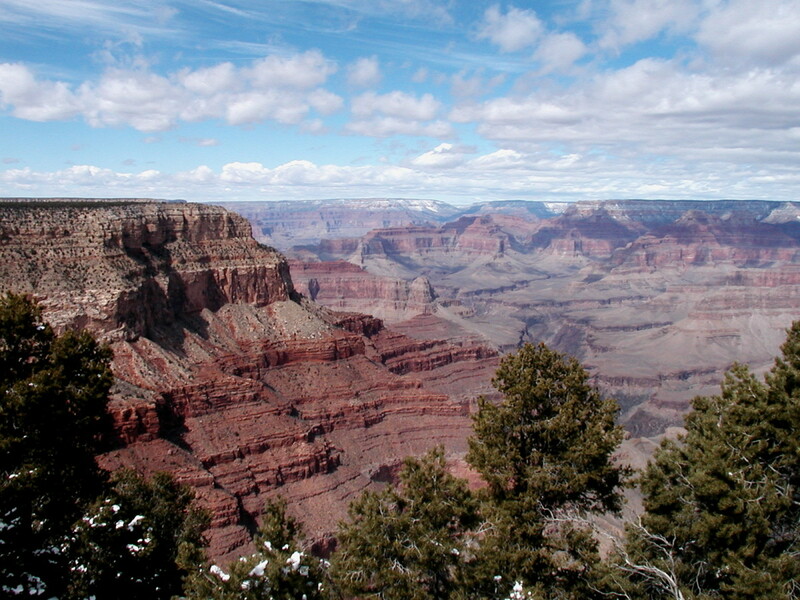 The overlook is a 2.7-mile round trip hike. 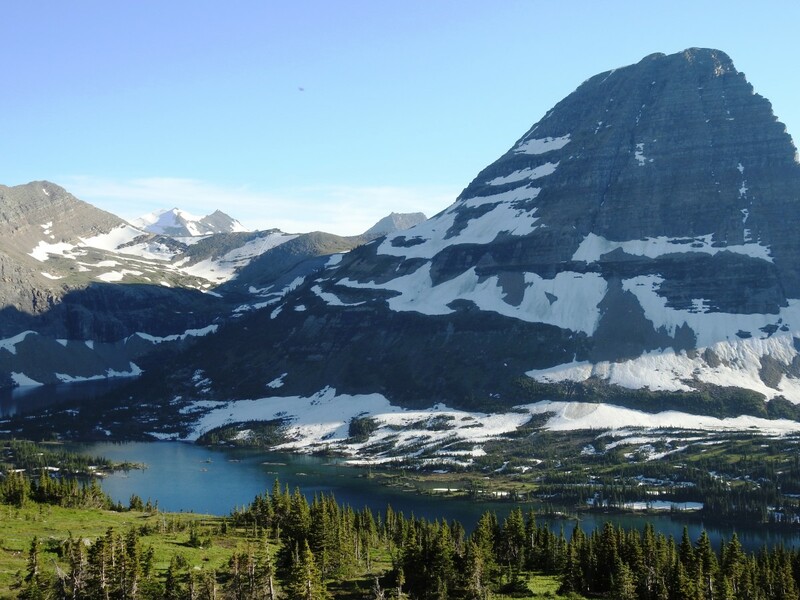 The hike to Hidden Lake itself is about 5.5 miles round trip. We had the most fun crossing the snowfields and watching my son wipe out time and time again. It was also a great way to cool off after a hot day in the sun. 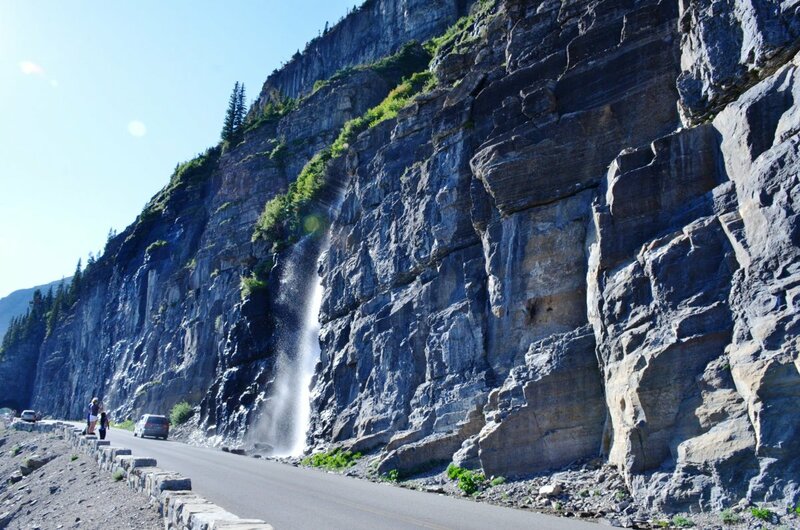 The Weeping Wall is a unique waterfall located on the shoulder of Going-to-the-Sun Road about three miles west of Logan Pass. 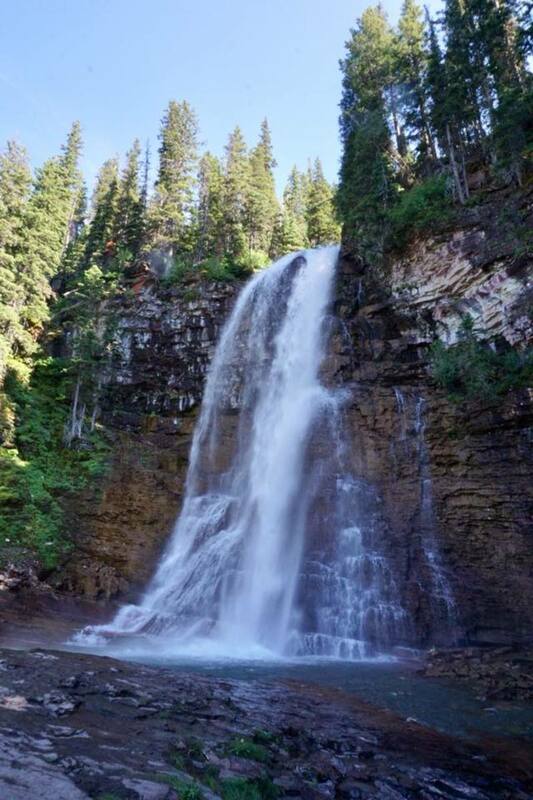 It is approximately 100 feet long and has water gushing down the side of a cliff that is mostly from snowmelt, but also from several springs that were revealed when the road was built. This is an area that attracts photographers because of its uniqueness. 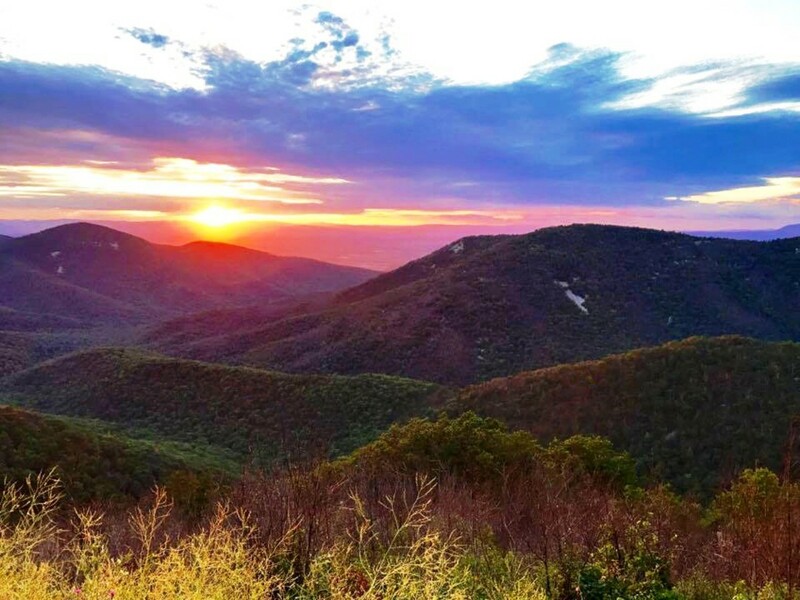 It is also a great place for hikers to cool off on a hot day or a great place to roll the window down on an unsuspecting passenger. Note: It is important to drive carefully through this area because it can become quite slick. 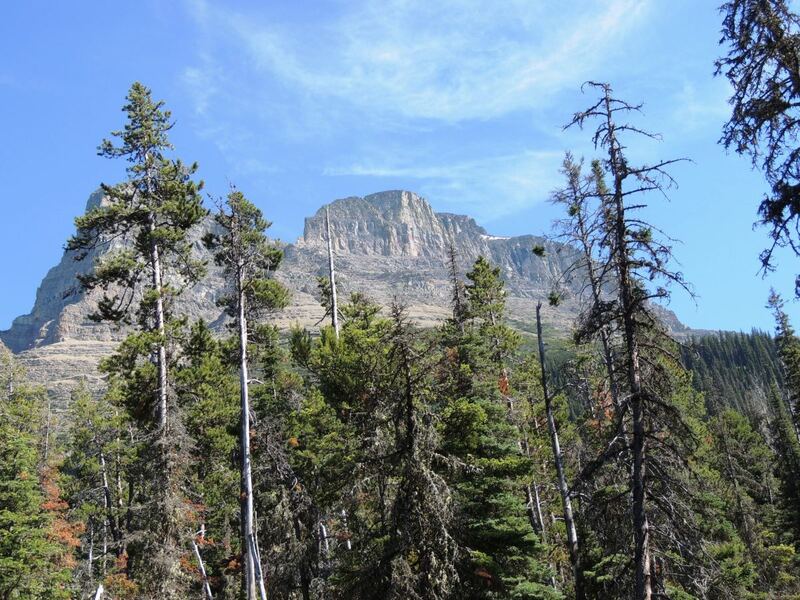 The Trail of the Cedars is an easy, level hike. 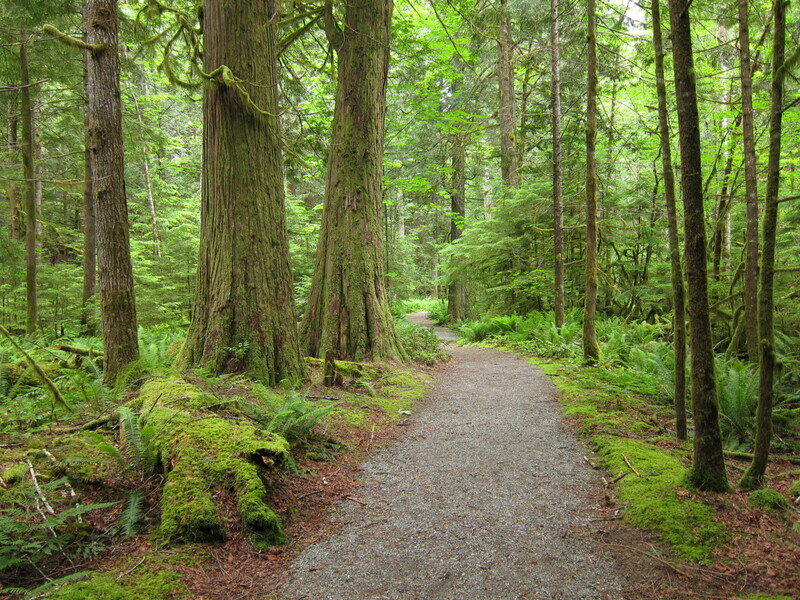 The trail winds through ancient western hemlocks and red cedars, some of which are more than 500 years old. The Trail of the Cedars kind of reminds me of Giant Sequoia National Park; the trees obviously are nowhere near as large, but they are still quite impressive. 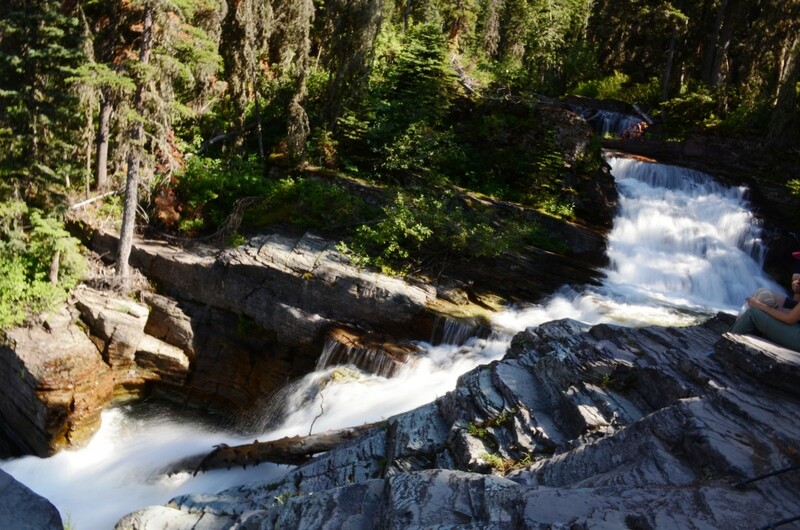 The highlight of the trail is a footbridge over Avalanche Creek that provides amazing views of the lower Avalanche Gorge. This is also a very popular trail, so I would advise getting to the parking lot early in the day. 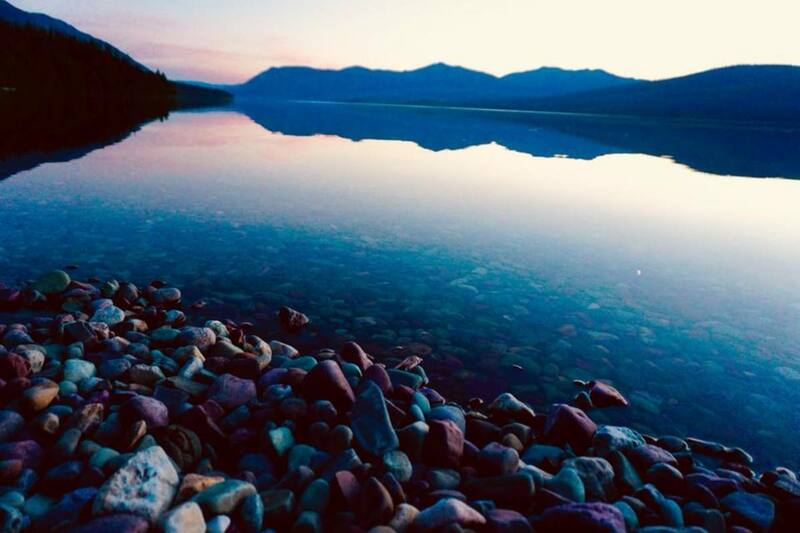 Lake McDonald is the largest and deepest lake in Glacier National Park. It is ten miles long and over a mile wide. It is approximately 500 feet deep. 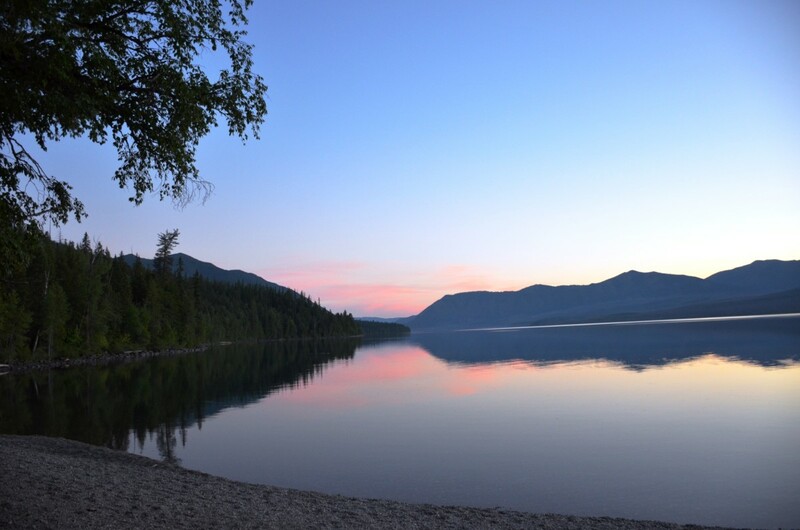 Lake McDonald is surrounded by high mountains and dense forests. The lake is very cold and has water that is exceptionally clear. Lake McDonald is much more easily accessed than St. Mary Lake as there are many places to pull out. 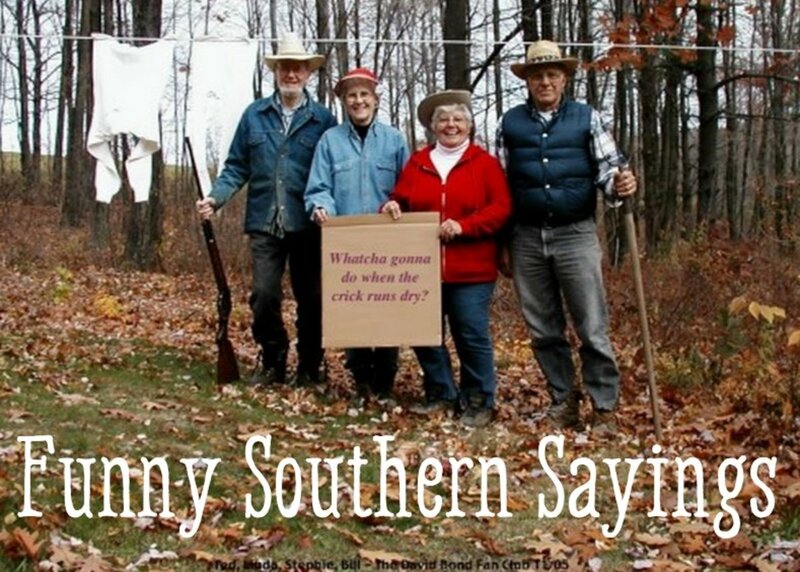 It is also a great place to fish for trout from the shore. We had planned on renting a couple of kayaks, but we did not get to the lake until after sunset. However, we were treated to amazing sky coloring around dusk that reflected on the lake and seemed to paint the rocks in the lake because of the clearness in the water. 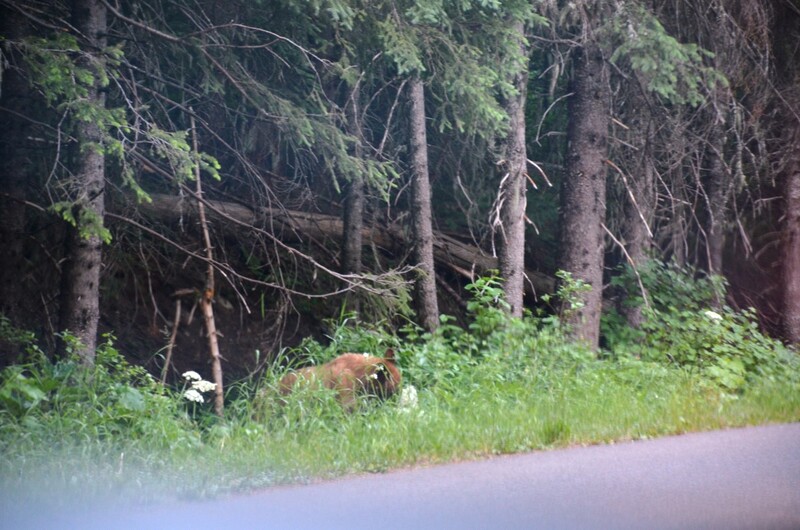 We also were fortunate enough to pass by a black bear eating flowers alongside the road near the lake. 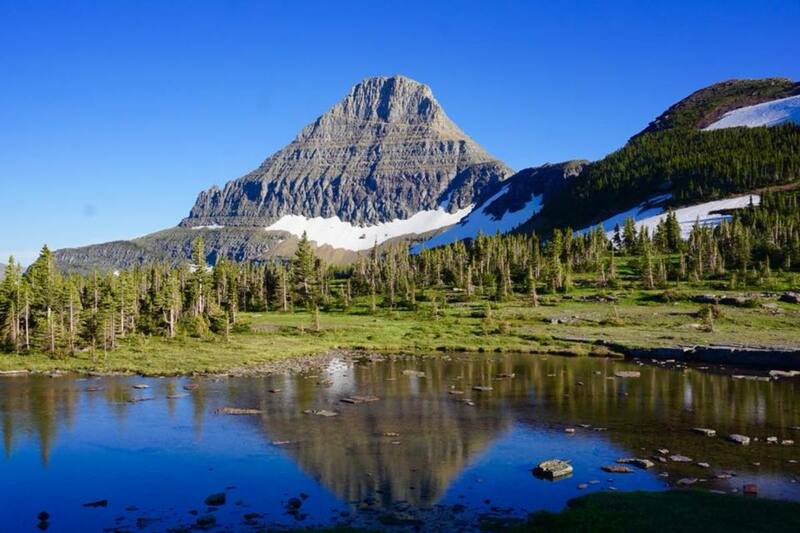 Manny Glacier is considered by many to be the heart of Glacier National Park. It is in more of a remote area, and the access road is rough and has a lot of potholes. On busy days, cars can be restricted at the entrance station until parking is freed up. 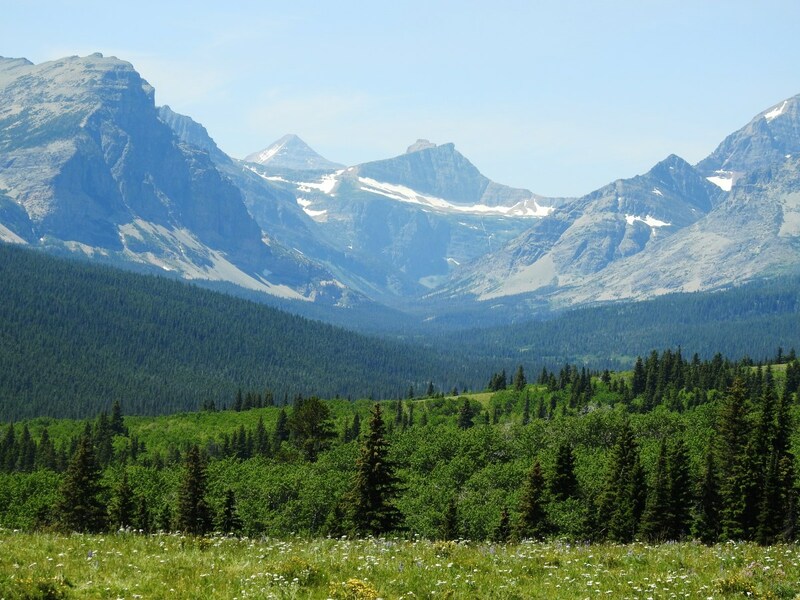 Many Glacier is one of the best areas for hikers because trails go out in all directions. 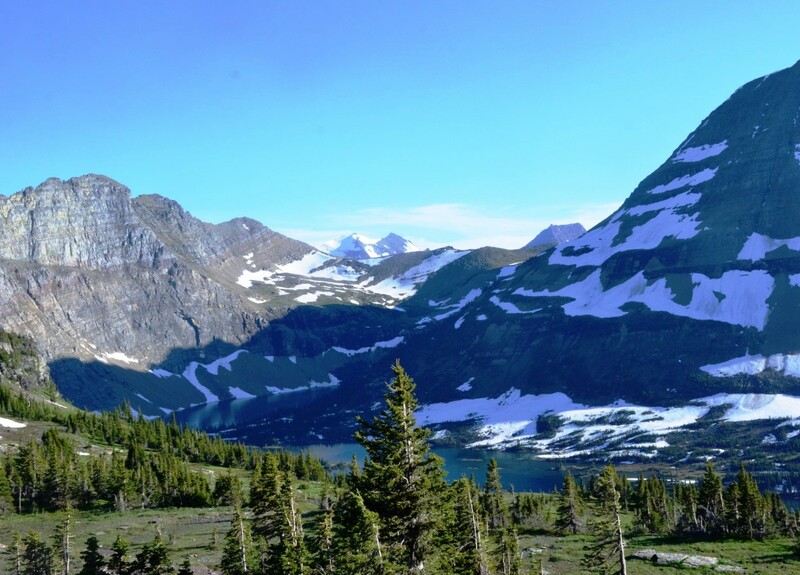 Two of the most popular trails in the park are found there—the Grinnell Glacier Trail and the Iceberg Lake Trail. 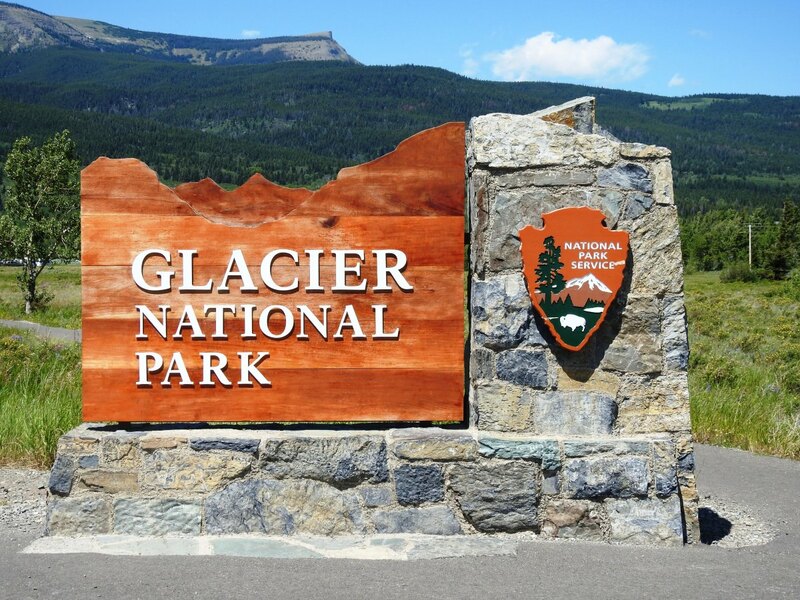 Hikers can be at Manny Glacier for a week and explore new trails each day and still not have time to cover everything that the area has to offer. Unfortunately, we did not have time to check out this area, but we have it in our plans for our next visit to the park. 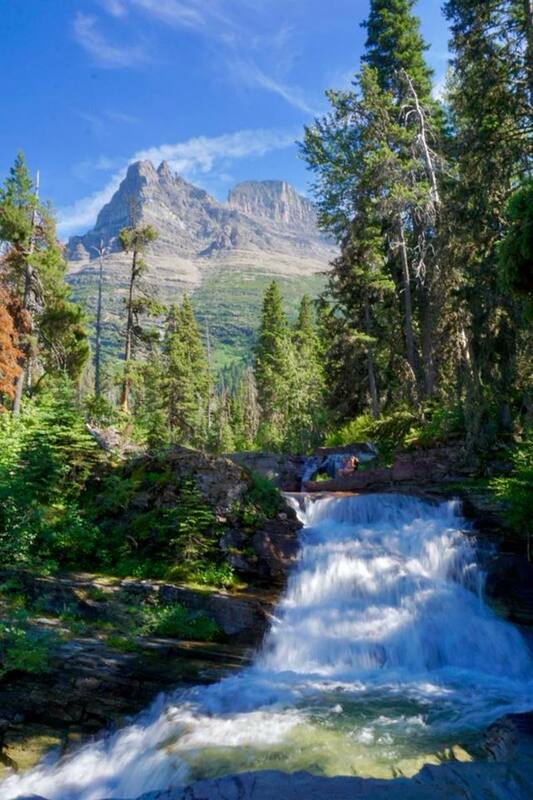 Glacier National Park reveals the awesome beauty of God’s creation. It is stunningly beautiful and amazing. There is so much to see and do there. 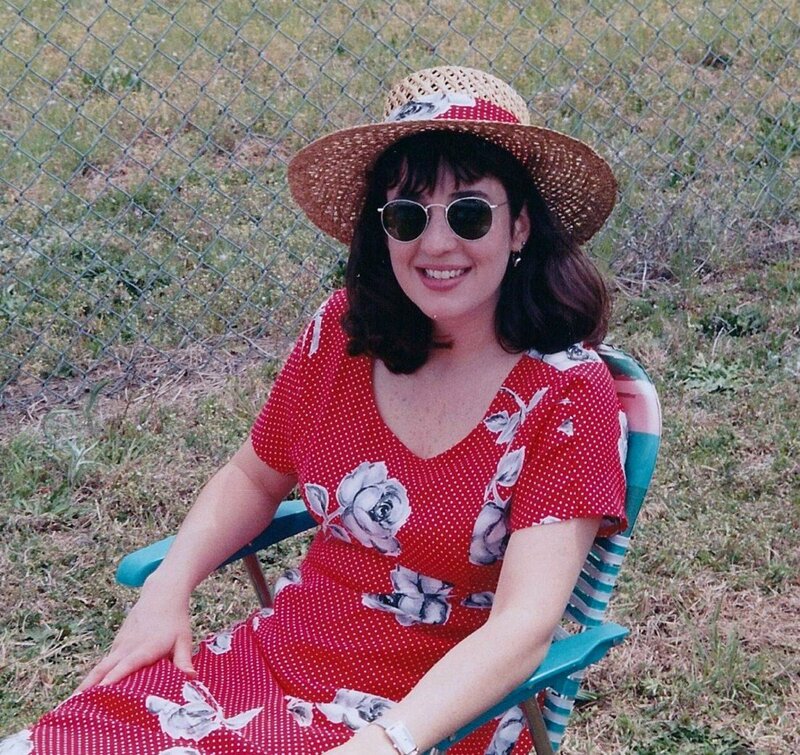 My family and I treasure all the wonderful things that we were able to see and do in the park. 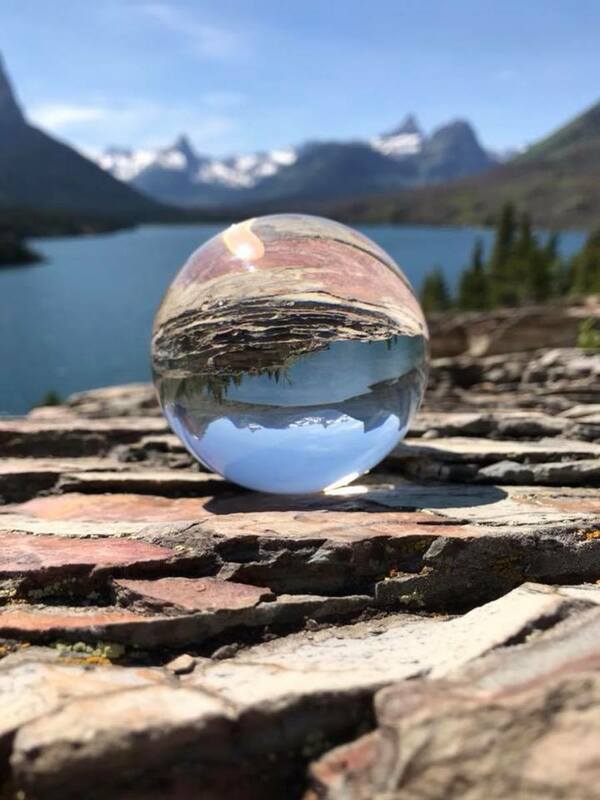 My favorite part was the hike to Hidden Lake, and I will not soon forget just how wonderful Glacier is. Unfortunately, we only had a day to spend there, but we could easily have spent a week or more exploring this national treasure. We cannot wait to come back. Thank you for your comments. 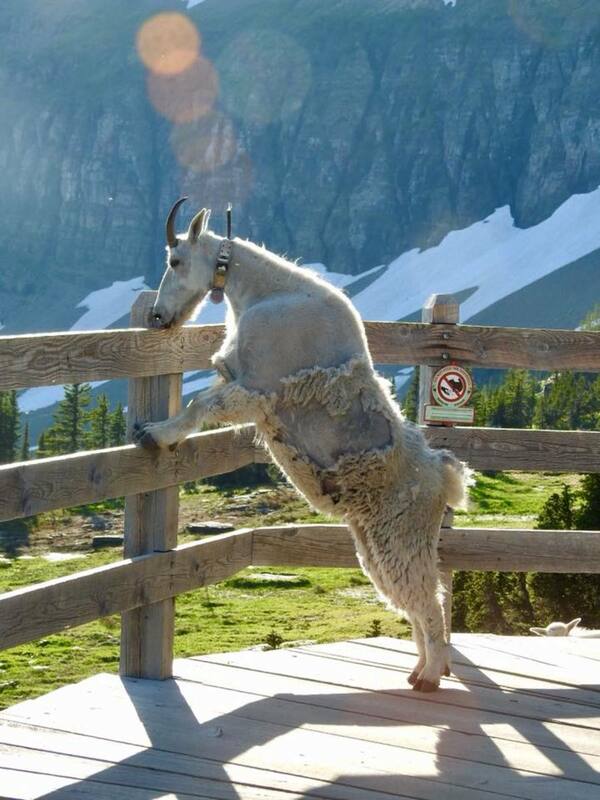 I agree that Glacier is an amazing place. This is an extremely interesting and well-illustrated hub. Your photos are top class and really bring this well-structured article to life. Great hub. 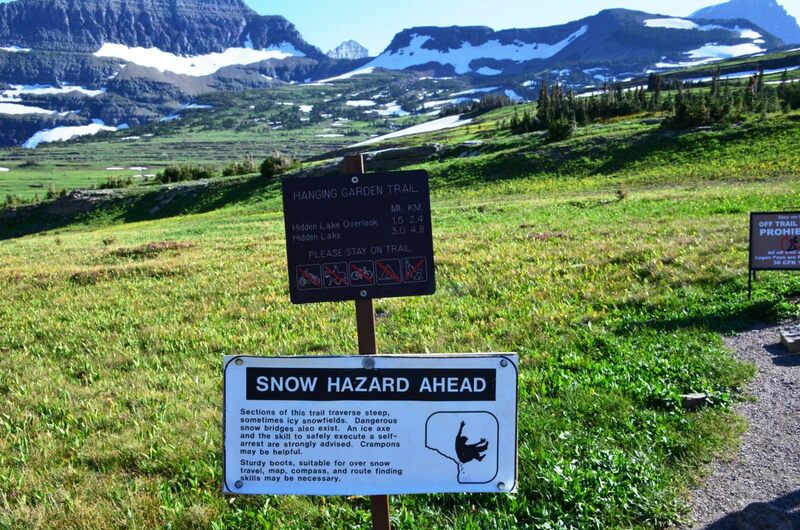 Last time I was in Glacier was 1987, so a long time ago. 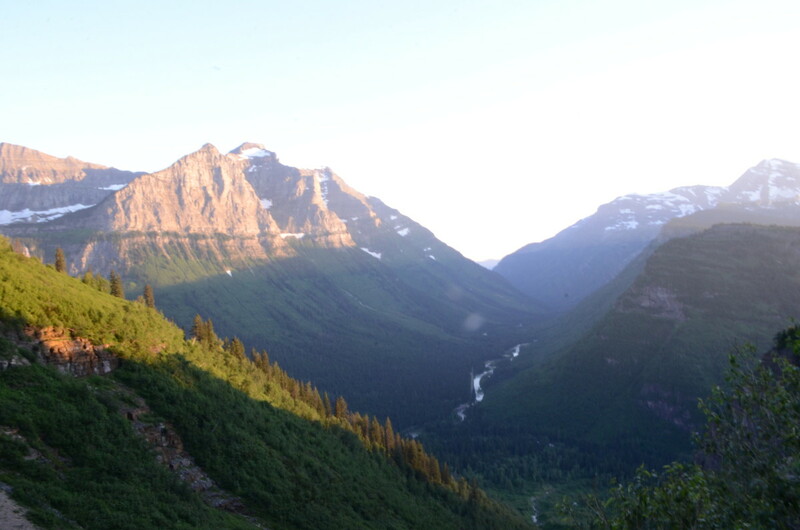 It's just an amazing place, and I will never forget driving on the Going-to-the-Sun Road. 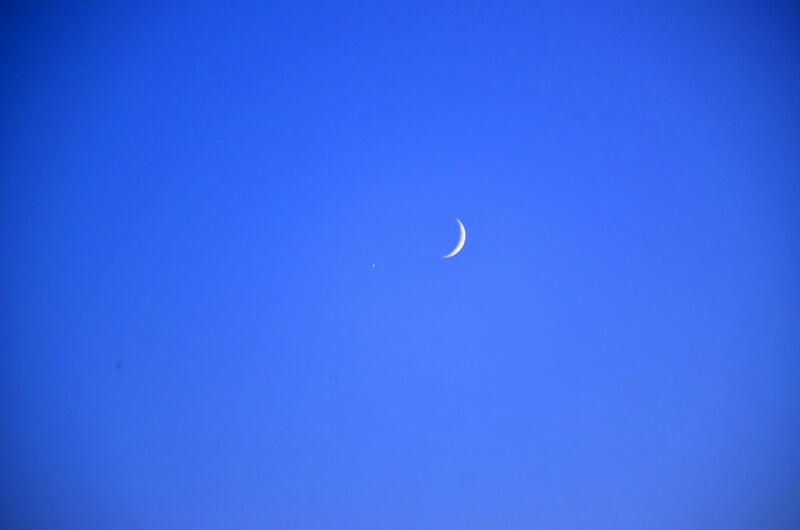 The photos make me want to return.